If you want huge, thick ginger cookies that are soft in the middle but have crispy edges, give this recipe a try. I’ve been making these for years and they are always a hit, plus they’re perfect for wrapping and giving as gifts or selling at bake sales. They’re also incredibly simple. Shortening is key to the texture. When made with butter, the cookies come out flat and sort of greasy. 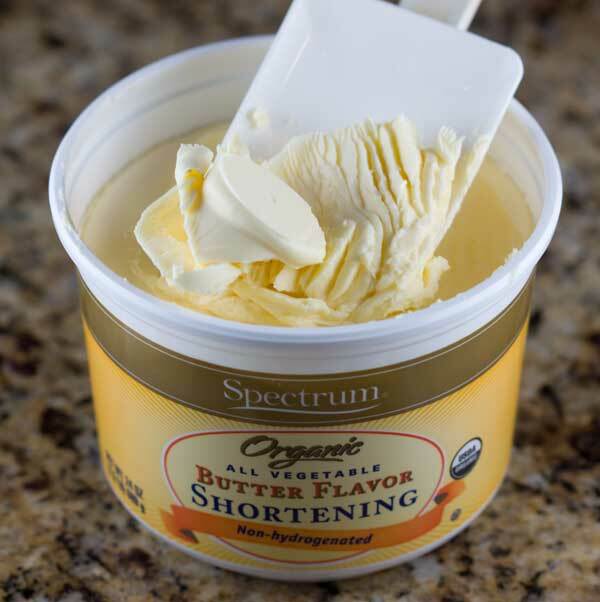 Luckily, non-hydrogenated Spectrum and Nutiva brand shortenings both work perfectly and the palm oil flavor is masked by all the spices. Also, don’t skip the chilling time. The cookies bake up thicker if you let the dough chill overnight . In a large bowl, using an electric mixer beat sugar, egg and vanilla until light. Beat in melted, cooled shortening and molasses. In a separate bowl, mix together flour, salt, baking soda, cinnamon, cloves, ginger, pepper and pepper. Using a 1/4 cup measure, scoop dough and shape into large mounds. Place dough scoops in refrigerator and chill thoroughly for at least 3 hours or chill dough in freezer for 1 hour. Preheat oven to 350 degrees F. Line two cookie sheets with parchment. Dip dough mounds in crystal sugar (if using) and arrange 5 mounds on each cookie sheet, keeping remaining mounds chilled until ready to bake. Bake for 15-20 minutes. If cookies seem brown after first 15 minutes, lay a sheet of foil loosely over the top. Let cool for 2-3 minutes on cookie sheet. Cookies will be large, thick, crispy on the outside and soft on the inside. I just made these and they are delicious! I love the crispy outside and soft inside texture. Also, delicious ginger molasses flavor. 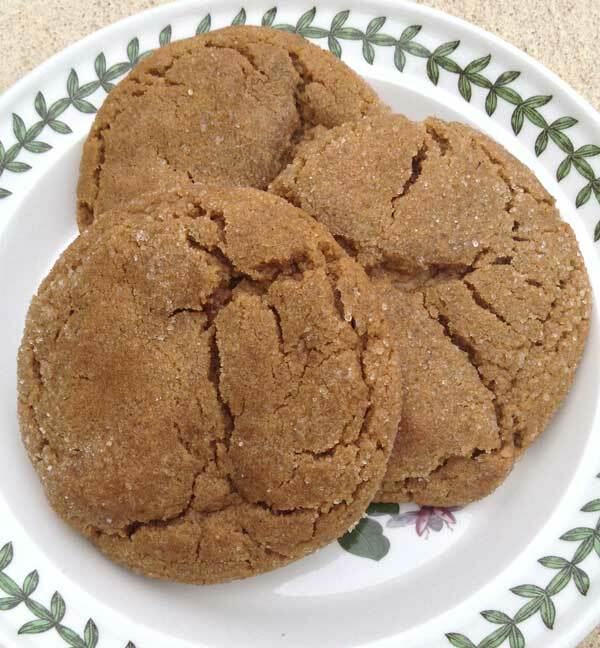 This will be my go to ginger cookie; fast, easy and so delicious. Alice and Amy, I would love to hear your reviews, so let me know if you make them. I love ginger. I am a ginger freak. I am trying to tell myself that I am not allowed to make these until I make your chocolate pecan chewy thingamajigs.